PLASA has announced the first of its nominees for the 2015 Awards for Innovation, which recognise and reward new product ideas. Nominated products should meet at least one of the Awards’ criteria for ‘Innovation’ – to offer a new style of thinking, an improvement in existing technical practice, a new or improved aid to safety, a new commercial advantage, use new patents or unique intellectual property, or introduce new technology, materials or manufacturing techniques. The final assessment of those claims will take place at the PLASA Show, where an independent panel of industry experts will judge the entries, based on the strength of their innovation alone. Respected for their impartiality, the panel will hear a five-minute presentation from each of the nominees, and have the opportunity for questions and answers, before making their final selections. There are no product categories and the judges will have eight awards of equal standing at their disposal, with the option of a Gold Award for any product or products that demonstrates outstanding innovation above that of its peers. In addition, the judging panel can choose to give the PLASA Award for Sustainability to any product which offers a significant reduction in power usage, makes effective use of renewable energy sources or provides a significant reduction in its environmental impact during its life cycle. AC-ET’s Chroma-Q Studio One 100 LED PAR features a custom optical design and fully homogenised output producing a smooth, uniform and defined beam – for above-par performance from a white source. Utilising core LED technology from the Chroma-Q is suited to a wide range of environments. Complementing the Chroma-Q Studio Force range, the fixture provides camera-friendly flicker-free operation and is available in a choice of white colour temperatures. Other features include premium build quality, silent convection cooling, theatrical grade dimming and compatibility with industry-standard 6.25” accessories. Clay Paky’s Scenius is a new, silent moving head spotlight at the top of the Clay Paky range. Its advanced optical unit and new 1400W – 6000K OSRAM discharge lamp provide a much higher light output than previous generation 1500W lamps. Scenius can count on a CRI>95, which is very unusual for a metal halide light source. Features: 8°-50° linear zoom, focus tracking system (autofocus), CMY system, seven-colour wheel, linear CTO, 12 interchangeable rotating gobos on two wheels, rotating prism, interchangeable graphic wheel, 16-blades iris, soft-edge and flood frost filters, Art-Net/RDM. Energy saving mode: 1200W. Clay Paky’s Spheriscan is a revolutionary scanner with a modern twist: its mirror goes on turning endlessly beyond 360 degrees, which creates an absolutely original swirling effect. Its speed may be adjusted as desired and reach a maximum of 280rpm. Its spanking new OSRAM lamp works at 1200W. Spheriscan is designed for outdoor use, (IP54). It may be recessed into the stage floor, with only its transparent head visible, to create original gazing projections. Features: 13°-34° high speed zoom, one six-rotating gobo wheel, one eight-fixed gobo wheel, rotating prism, fast 16-blade iris, linear frost filter, CMY system, seven-colour wheel. d3 Technologies’ 4x4pro sets a new standard for power and flexibility. With next generation components, it is ideal for the most demanding productions. The d3 4x4pro plays up to eight layers of 4K video or 32 layers of HD video, and up to eight layers of uncompressed HD video, all with content up to 16K pixels. The d3 4x4pro has two 10Gbit/s Ethernet ports, allowing you to transfer huge quantities of content in minutes. The d3 4x4pro features user replaceable video format conversion cards, allowing them to swap between 16HD outputs (DVI/3G-SDI), or drive up to four 4K via DisplayPort. Dataton’s Watchout 6, the new version of Dataton's multi-display production and playback software, adds an unrivalled feature-set for advanced projection mapping, fronted by an enhanced user interface. The most significant upgrade in the 15-year history of the product, Watchout 6 improves workflow for complex projection scenarios with live edit, virtual projectors and new marker-based calibration. Common format 3D models can be brought in and content applied to individual mesh areas. New pre-visualisation presents a realistic, multi-camera simulation of the stage environment. Version 6 supports high-end uncompressed video formats, and popular HAP codecs. It also offers frame-rate control and multi-channel audio playback. ETC’s ColorSource Spot out-performs previous RGB, RGB-A and RGB-W emitter technology, thanks to its precise combination of red, green, blue and lime emitters RGB-L). It achieves brighter, richer and more believable colours than other budget LEDs, especially in the warm end of the colour spectrum. With remarkably high output and smooth dimming the ColorSource Spot is factory calibrated and compensates for thermal droop to keep the colour going strong for your show. ColorSource Spot also provide access to the wide selection of lens tubes and adapters as the premium Source Four LED range. Elation Professional’s Platinum FLX a ‘FLXible’ multi-functional luminaire with a patent-pending dual optical system that is unique and gives clear advantages over traditional hybrid systems. With zoom control in spot, beam and wash modes, it allows for narrower beam angle and brighter central point in beam mode (1.8°-18°), a more uniform, clearer and brighter spot field (2.9°-25°), and higher-quality, flat field wash effect. The dual optics work independently and switching between beam and spot modes is quick and accurate. It offers seamless CMY+CTO and houses an energy-efficient 470W Platinum 20R lamp for output comparable to 1200W fixtures. Elation Professional’s Emotion is a compact yet powerful moving head digital luminaire that brings the latest in next generation digital lighting technology to the market. This ‘digital moving projector’ can output static gobos, full colour images, animated videos and effects for the creative freedom to project an image anywhere. Easy to use, users don't need an abundance of DMX channels to operate it like other digital lights. Emotion features an on-board media server with 64GB SSHD and extensive royalty-free digital art library. Custom content can be easily and remotely uploaded via CMA software. Flare Audio’s Flare Zero is a loudspeaker aimed at discerning studios, musicians and audiophiles allowing them to hear exactly the sounds that the artist intended them to hear. This unique system features the company’s patent-pending 3D printed spiralled Vortex exhausts and space technologies, utilised to the maximum for minimal distortion, high-power, highest definition sound. Zero stands at 1.8m high and looks to float in mid-air. The 3.5kW of sound it delivers is the equivalent of a club installation, in a studio or private space. There is no excess in the design – it is minimal and is informed fully by the technology. Prolights’ StudioCOB FC harnesses the advantages of LED in a package that retains the core lighting values of a traditional luminaire. Fusing a “new generation” CREE COB LED source with a single parabolic reflector, the StudioCOB projects a bright, even beam. For flexibility, lenses are quickly placed in the unit to swap between 60°, 30° and 15° whilst fully functional barndoors provide proper beam control. With smooth dimming, a massive colour palette, and on-board frequency adjustment this perfect fusion of traditional optical system with advanced technology delivers an innovative “workhorse” fixture at a truly affordable price, the company says. RC4 Wireless’s RC4Magic-DMXpix is a tiny wireless DMX driver for pixel LEDs. It runs two separate pixel strings with customisable multi-channel profiles to create beautiful pixel effects utilising up to 3000 output channels. Using RC4MagicPC software or RDM, the user specifies the string type, DMX start channel, and various effects parameters for each driver. Control the magic from a DMX console in real time. Also on-board are a standard DMX data port, and an I2C interface for use with Arduino and more. Only 61mm x 36mm x 20mm, the DMXpix is the future of portable, spectacular pixel displays. Robe’s DL7S Profile is the first DL range fixture to receive a powerful new 800W version of the LED engine with seven colours for unprecedented smooth, stable and even colour mixing and a very high CRI of 92. From the deepest to the lightest colours the DL7S provides a rich full colour spectrum, and features custom colour mixing and dimming and seamless operation especially at the minimum brightness levels. Four fast framing shutters are individually controllable for position and angle and the entire framing module can be rotated. It offers a new series of effects from preprogrammed shutter blade sequences. One rotating gobo wheel with six slot and lock gobos plus a static eight-gobo wheel can be combined with the Animation wheel. Other effects and features include variable frost, rotating prism and super-fast iris. Robert Juliat’s Dalis cyc light is a new 300W LED cyclorama/wall wash luminaire designed by Robert Juliat in collaboration with Laser Imagineering. Created for theatrical, TV and entertainment applications, Dalis blends an extremely wide colour gamut. With exclusive asymmetrical reflectors that spread the light more evenly over vertical surfaces, Dalis provides a massive output across the full colour spectrum. Equipped with an advanced fanless cooling system, Dalis offers silent operation, which is perfect for sound sensitive applications like opera houses and studios. Safety Lifting Gear’s Duke battery-powered electric chain hoist is a battery-powered, lightweight design, electric chain hoist, of 250 or 500kg lifting capacity – useful where mains electricity is not available, or messy electrical infrastructure would get in the way. Up to 10m height of lift and other features include overload warning buzzer, two batteries that work for 25min continuously ‘each’ at full load, and neat packaging case. Duke was the winner of ABTT's Widget of the Year Award. TMB’s Solaris LED – SoLED W840 strobe provides 92,000 lumen output at a quarter of the power consumption and half the size of conventional strobes. A linear array of Cree LEDs and advanced driver software provides the punch and 'feel' of xenon. Multiple units will not stress typical 16A circuits. Flicker-free 2400Hz solid-on mode is ideal for film and TV, fan-free design is completely silent, plus superior quality of light at low intensity is unrivalled. Familiar control modes and personalities mean fast learning curve, colour LCD display is easy to address, and RDM functionality provides continual feedback and remote management. Exclusively distributed by TMB. Finally, PLASA 2015 will see the presentation of the Gottelier Award, named after Tony Gottelier, the renowned industry innovator who passed away in 2006. This annual award recognises those product developers who have made a significant long-term contribution to the entertainment, installation technology or presentation industry in the fields of audio, lighting, rigging or staging. This year’s nominees are co-founder of High End Systems Richard Belliveau, David Cunningham an early pioneer of computer lighting systems and developer of a number of landmark products for Strand during the 1970s and 80s, and Dr Christian Heil founder of loudspeaker manufacturer L-Acoustics. Previous winners have included Tony Andrews of Funktion One, John Stadius of DiGiCo/SoundTracs, John Meyer of Meyer Sound, Fred Foster of ETC and Jim Bornhorst of Vari-Lite. Last year’s winner was Pasquale Quadri, the admired innovator and founder of Clay Paky, who sadly passed away shortly before the 2014 show. His award was presented posthumously, by the unanimous agreement of his fellow nominees. 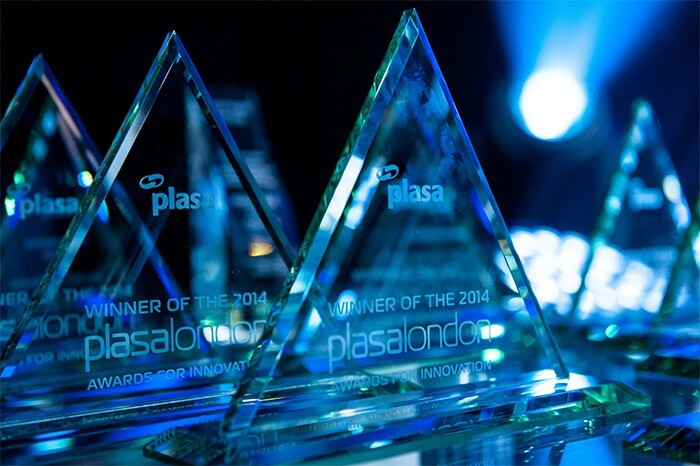 All the award winners will be announced during PLASA 2015, at a special ceremony on Monday 5 October.